Incidence of postoperative deep wound infection (PODWI) after lumbar surgery varies from 2.1% to 6.7%.,, Infections have devastating effects on not only the patient. Main concerns with PODWI are failure of fixation, osteomyelitis and systemic spread of infection, multiple surgery, prolonged stay, and persistent pain and deformity. The aim of the present study is to evaluate the 2 years functional and radiological outcome of patients with PODWI as compared to a matched cohort of uneventful surgeries. 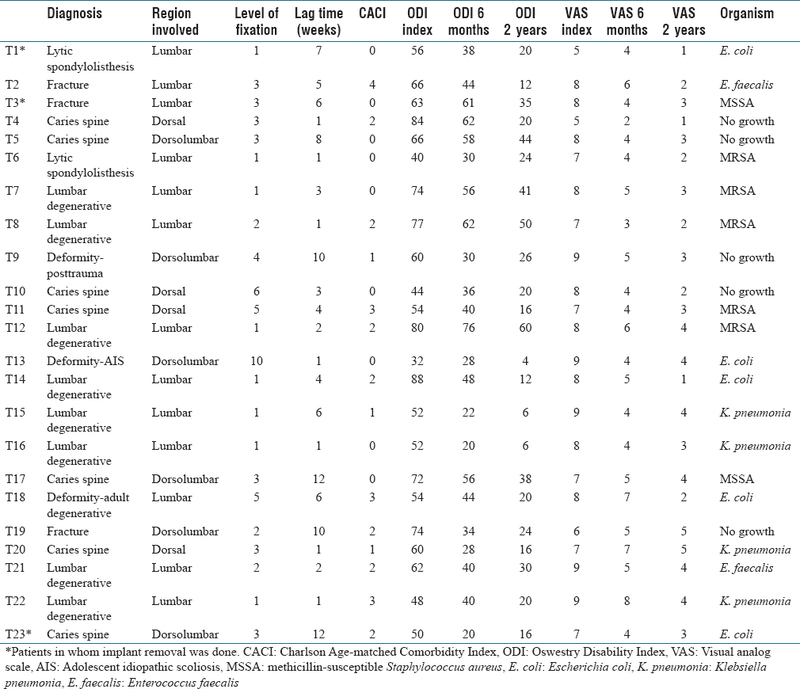 This is a retrospective, matched cohort study of 23 consecutive patients who had documented acute (<3 months) postoperative deep wound infections after instrumented lumbar and dorsolumbar spinal fusion from 2005 to 2013. All patients were treated by a single surgeon at the same institute. Data were retrieved through a review of patient electronic records [Table 1] and [Table 2]. Patients presenting with increased back pain some days after surgery with rising C-reactive protein titers along with discharge from wound site were included in this study. Clinical suspicion of infection without wound site discharge was an indication for an magnetic resonance imaging (MRI). Superficial infections (infections confined to subcutaneous plane), presentation after 3 months, and infections after revision surgeries were excluded from the study. Deep infections were diagnosed based on the subfascial infection which was diagnosed by MRI and/or intraoperatively during debridement. 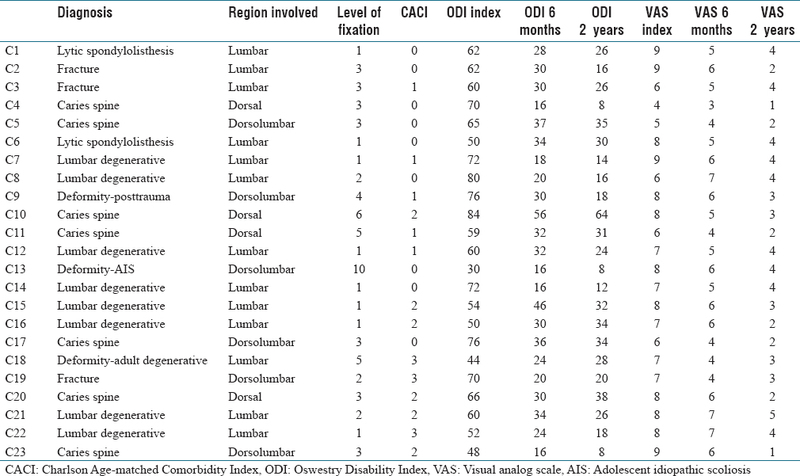 Simultaneously, a noninfected control group (CG) was identified matching the indication, type, and number of levels of fusion, Oswestry Disability Index (ODI), Charlson Age-matched Comorbidity Index (CACI). Their preoperative and postoperative (6 months and 2 years) functional scores in the form of ODI and visual analog scale (VAS) were queried from the electronic database. Radiographs and computed tomography scan were done in all patients to assess fusion at 2 years. All patients were treated by wound reexploration – antibiotics were withheld till the time of sample collection for culture and sensitivity. Skin and subcutaneous sutures were opened followed by wash with normal saline. Fascial sutures were inspected for gaping. After debridement of subcutaneous tissue, the fascial sutures were opened, and deep tissue was examined for infected tissue. Thorough debridement was done followed by the use of pulse lavage in all patients. Parenteral antibiotics were started in consultation with an infectious disease specialist. Antibiotics were modified according to the culture sensitivity once the reports were available; this was followed by 3 weeks of oral antibiotics at discharge. Improvement in VAS scores and ODI scores at 6 months and 2 years follow-up were compared in the two groups. Clinical and radiological outcomes were analyzed using Microsoft Excel Data Analyzer ToolPak. We studied a total of 23 patients with 11 males and 12 females in each cohort. Average age of our study group was 43.69 (range 12–75), only nine of the 23 patients had diabetes, and the mean CACI was 1.33 (range 0–4). While posterior spinal fusion surgery alone was done in 21 patients, two patients had additional anterior surgery. Total number of dorsal and lumbar posterior spinal fixation surgeries done during this period was 1084. Thus, the incidence of PODWI in our hospital was 2.12%. Meantime lag from index surgery to development of infection was 4.7 weeks (Range 1–12 weeks). Most common pathogenic organism was Staphylococcus aureus(30.4%), followed by Escherichia More Details coli (21.7%), and Klebsiella species (17.3%). Five patients did not show any growth on culture. 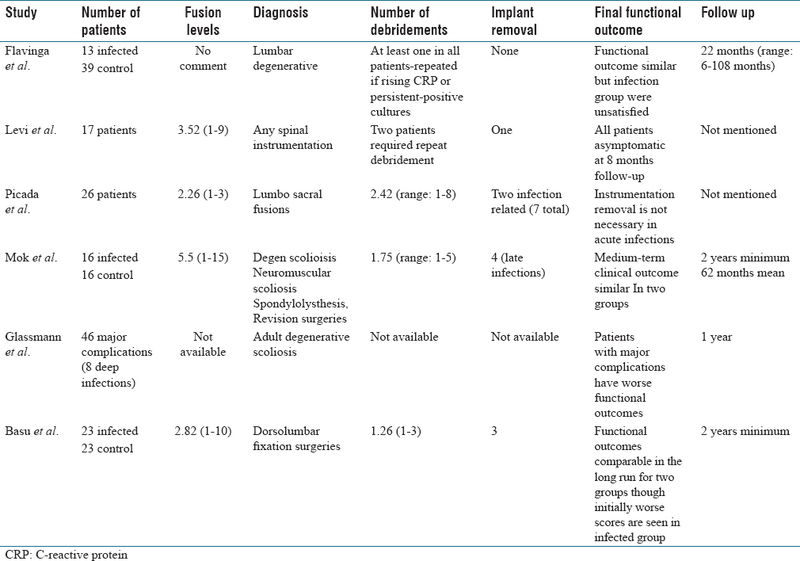 Fusion as assessed by Glassmann criteria for posterolateral fusion and Bridwell criteria for interbody fusion was seen in all patients except one in the infection group at the end of 2-year follow-up period [Figure 1] and [Figure 2]. This patient had a screw pull out 1 year after surgery for which implant removal was done. This patient underwent a total of three debridements. The patient was given the option of reimplantation after control of infection; however, patient became asymptomatic and hence further surgery was not done. Discharging sinuses developed in four patients, two of these required implant removal for the same. In both patients, bony fusion was documented at the time of implant removal. Sinuses healed subsequently. Mean ODI score of the infected group (IG) at presentation was 61.2 (range 32–88), and it improved to 42.3 (range 20–76) at 6 months follow-up. Mean ODI of CG at 6 months was significantly lower than infection group and had a mean of 28.4 (range 16–56) (P < 0.001). We studied the improvement in ODI scores at 6 months follow up by comparing them to preoperative scores. The improvement in ODI at 6 months was higher in the CG with a value of 33 (range 8–60) as compared to infection Group 19 (range 4–40) (P < 0.001). Mean ODI scores at 2 years for CG was 24.6 (range 8–64), and for infection group, it was 24.34 (range 4–60) (P = 0.47). Thus, there was no significant difference in mean ODI scores at 2 years follow-up. The ODI score improvement at 2 years was 37.2 (range 16–76) for CG and 36.8 (range 16–64) for infection group (P = 0.41) [Figure 3]. Mean VAS scores at 6 months follow-up for CG, and infection group were 5.30 (range 4–7) and 4.73 (range 2–8), respectively (P = 0.04) at 2 years, it was 3.04 (range 1–5) and 2.95 (1–5) (P = 0.39), respectively. The improvement in VAS between preopertive score and 6 months follow-up score was 2.95 (range 0–5) for infection group and 2.39 (range 1–5) for CG (P = 0.10). Improvement at 2-year follow-up was 4.65 (range 1–7) for infection group and 4.26 (range 2–8) for CG (P = 0.18). Thus, no statistically significant difference was found in the VAS scores between the two groups utilizing unpaired Student's t-test [Figure 3]. Appropriate management of acute postoperative deep wound infection still has some gray areas when it comes to evidence-based medicine. While it is known that suppressive antibiotic therapy rarely achieves a radical cure of infection, it may, in fact, promote osteomyelitis and increase risk of failure of instrumentation. An aggressive approach in the form of early debridement has been advocated. Removal of implants at this stage is thought to have multiple ill effects, such as increased risk of pseudoarthrosis, loss of correction, and possible neural injury., Numerous studies have been done on retention of implants in acute infection. These advocate use of adjuvants such as delayed primary closure or secondary intention, closed irrigation-suction system, or antibiotic cement beads.,, No such adjuvant was used in this study. Debridement if needed was repeated on a case to case basis. All infections in our study were monomicrobial with S. aureus being the most common organism. This was in accordance with available literature., We did not find the prevalence of polymicrobial infection after lumbar fusion surgeries as described by Mok et al., who in their study had found 56% of patients to be suffering from polymicrobial infection. We had persistent discharging sinus in four patients. Patient-reported outcome measures have become the standard of care for the assessment of success of any treatment modality. This study focuses on their use for assessing the effect of deep wound infection on patient's quality of life over short-term and mid-term duration. Studies done by various authors in the past have given conflicting evidence with respect to functional status of the patient. Emami et al. and Glassman et al. found less than satisfactory result in patients who suffered this complication over a mid-term follow-up period., However, Mok et al. and Falavigna et al. found no significant difference in functional scores of patients who suffered from deep wound infections as compared to patients without complication [Table 3]., However, Mok et al. found that despite comparable functional scores in two study populations the satisfaction level in patients with PODWI was lower. This was probably due to the fact that satisfaction being a subjective evaluation might be influenced by the knowledge in patients mind that he suffered a major complication in the form of infection. In addition, the increased length of hospital stay, increased expenditure, and adding on of additional procedures might have an effect on this subjective assessment. A major drawback of some of the studies done earlier was the fact that they did not consider preoperative functional scores of the patients. All studies done previously compared only the functional scores at final follow-up. This leaves a void to be filled as to whether the graph of improvement in functional scores is congruent for patients with PODWI and uneventful surgeries, or is there any difference? In our present study, we found that patients having acute onset PODWI fared unfavorably in their functional scores as compared to CG at 6 months follow-up. The improvement in ODI scores when compared to preoperative score was lesser than the CG. 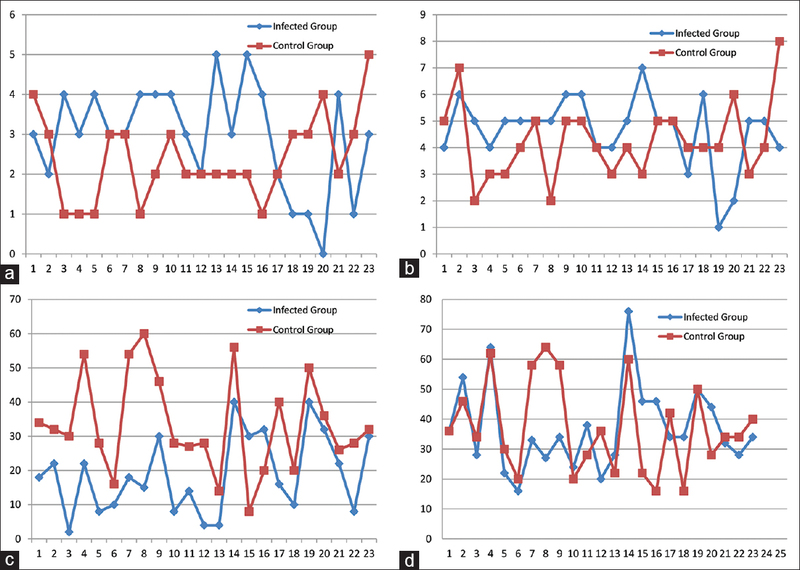 This difference in the two groups was not seen at final follow-up at 2 years. In addition, the VAS scores though higher in IG at 6 months follow-up were not statistically significant. Again, no difference between the two groups was seen at final follow-up. Similar to our study, Picada et al. in their study also had a case of delayed discharging sinus at 4 years follow-up in a patient who was doing well functionally. This patient required the removal of implant for the same, and infection was controlled after that. Follow-up duration in the study by Falavinga et al. and Mok et al. was an average of 4 years, but neither study specifically looked into occurrence of delayed discharging sinuses. In the study of Mok et al., there was, however, a set of patients with polymicrobial infection who required recurrent debridements. Subsequent requirement of implant removal in these patients was not studied, two patients were reoperated for pseudoarthrosis in their study. Overall resurgery rate, duration of hospital stay and cost of treatment were higher for the infection group. Statistical analysis for these outcome measures was not done in the present study. Small sample size is the major drawback of this study. However, considering the fact that with ever-increasing emphasis on measures to reduce surgical site infections getting the requisite numbers for such studies requires multicenter studies. Retrospective nature of the study was another limitation. Patients developing acute deep wound infection after instrumented posterior spinal fixation surgery when treated appropriately have comparable long-term outcome to patient with noninfected surgery; however, initial short-term worsening in functional status was seen in infected patients. Fusion was a predictable outcome. Kim JI, Suh KT, Kim SJ, Lee JS. Implant removal for the management of infection after instrumented spinal fusion. J Spinal Disord Tech 2010;23:258-65. Picada R, Winter RB, Lonstein JE, Denis F, Pinto MR, Smith MD, et al. 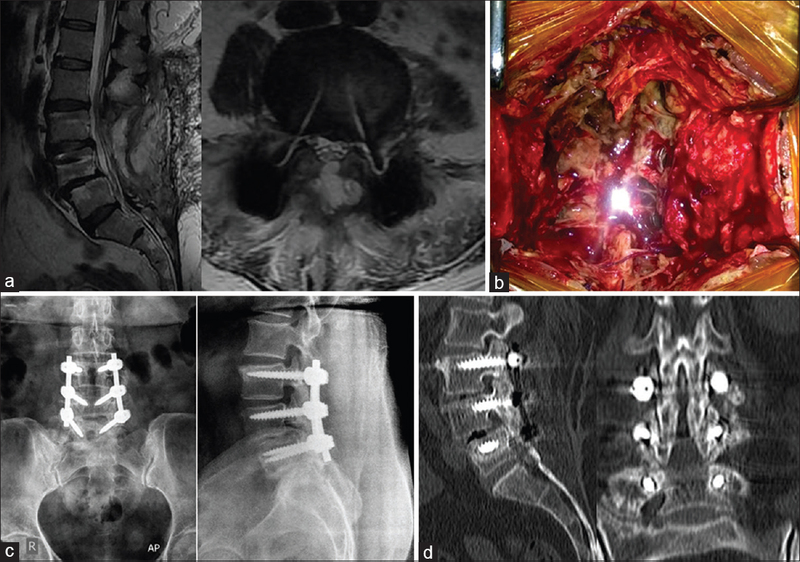 Postoperative deep wound infection in adults after posterior lumbosacral spine fusion with instrumentation: Incidence and management. J Spinal Disord 2000;13:42-5. Mok JM, Guillaume TJ, Talu U, Berven SH, Deviren V, Kroeber M, et al. Clinical outcome of deep wound infection after instrumented posterior spinal fusion: A matched cohort analysis. Spine (Phila Pa 1976) 2009;34:578-83. Emami A, Deviren V, Berven S, Smith JA, Hu SS, Bradford DS, et al. 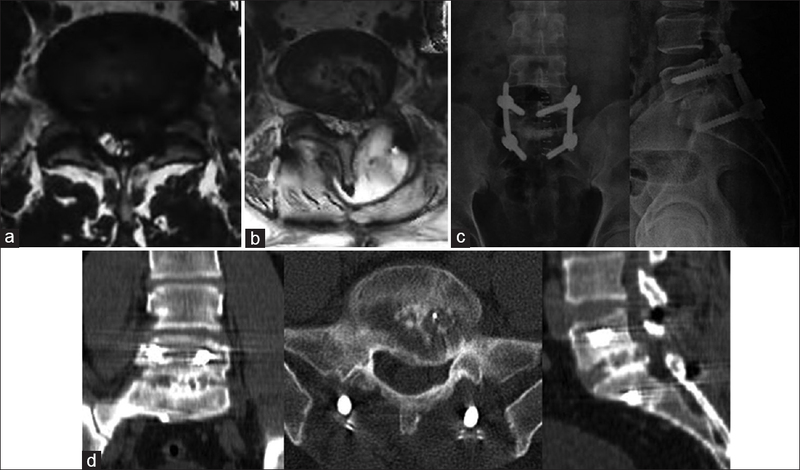 Outcome and complications of long fusions to the sacrum in adult spine deformity: Luque-galveston, combined iliac and sacral screws, and sacral fixation. Spine (Phila Pa 1976) 2002;27:776-86. Glassman SD, Hamill CL, Bridwell KH, Schwab FJ, Dimar JR, Lowe TG, et al. The impact of perioperative complications on clinical outcome in adult deformity surgery. Spine (Phila Pa 1976) 2007;32:2764-70. Falavigna A, Righesso O, Teles A, Kleber F. Clinical and functional outcome of patients with deep wound infection after spinal lumbar fusion. Coluna Columna 2009;8:171-7. Falavigna A, Righesso O, Traynelis VC, Teles AR, da Silva PG. Effect of deep wound infection following lumbar arthrodesis for degenerative disc disease on long-term outcome: A prospective study: Clinical article. J Neurosurg Spine 2011;15:399-403. Weiss LE, Vaccaro AR, Scuderi G, McGuire M, Garfin SR. Pseudarthrosis after postoperative wound infection in the lumbar spine. J Spinal Disord 1997;10:482-7. Deckey JE, Court C, Bradford DS. Loss of sagittal plane correction after removal of spinal implants. Spine (Phila Pa 1976) 2000;25:2453-60. Stambough JL, Beringer D. Postoperative wound infections complicating adult spine surgery. J Spinal Disord 1992;5:277-85. Fang A, Hu SS, Endres N, Bradford DS. Risk factors for infection after spinal surgery. Spine (Phila Pa 1976) 2005;30:1460-5. Zanoli G. Outcome assessment in lumbar spine surgery. Acta Orthop Suppl 2005;76:5-47.